As I get to know the farmers in the Yamhill Valley and other, northern portions of the Willamette Valley, I have been impressed by the breadth of activities they have in the winter months. Some are for other farmers, some are for anyone. All fall under the broad topic of “education”. I will start listing activities that are scheduled if people send me information so everyone can know and participate if it interests them. 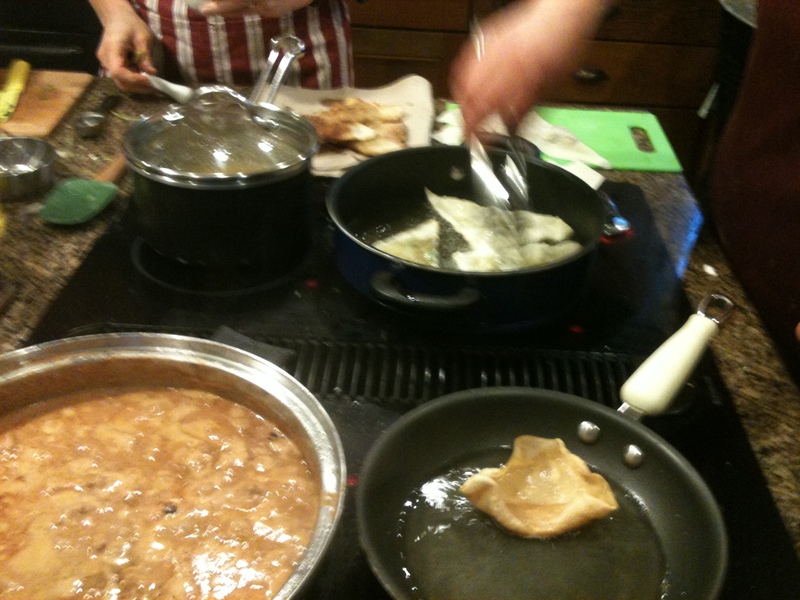 This past week my husband and I attended a cooking class held by farmer Lisa McMinn and culinary instructor Terri Boehr. 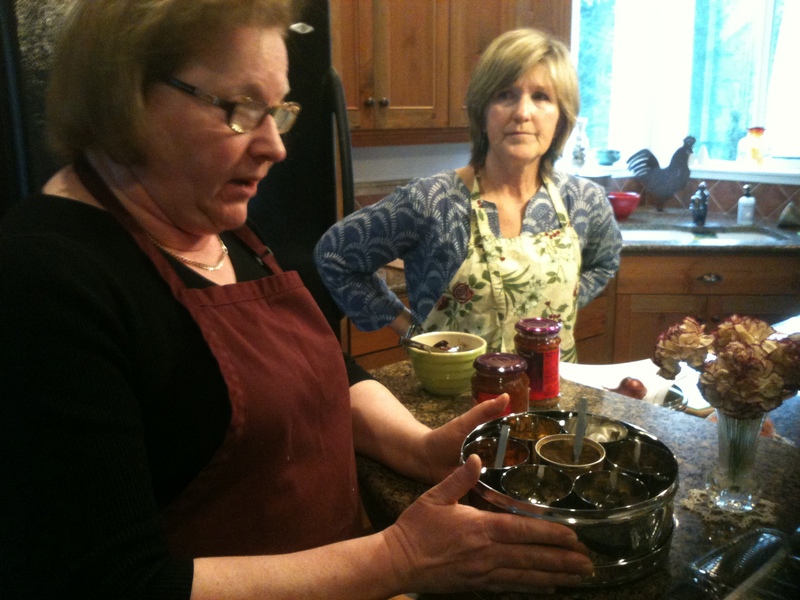 They have held monthly classes this winter (hor d’oeuvres before Christmas, soup and breads last month, and now they are delving into international cuisine. If you want to know about future classes go to The Fern Creek Farm website to subscribe to Lisa’s blog and stay tuned for news. 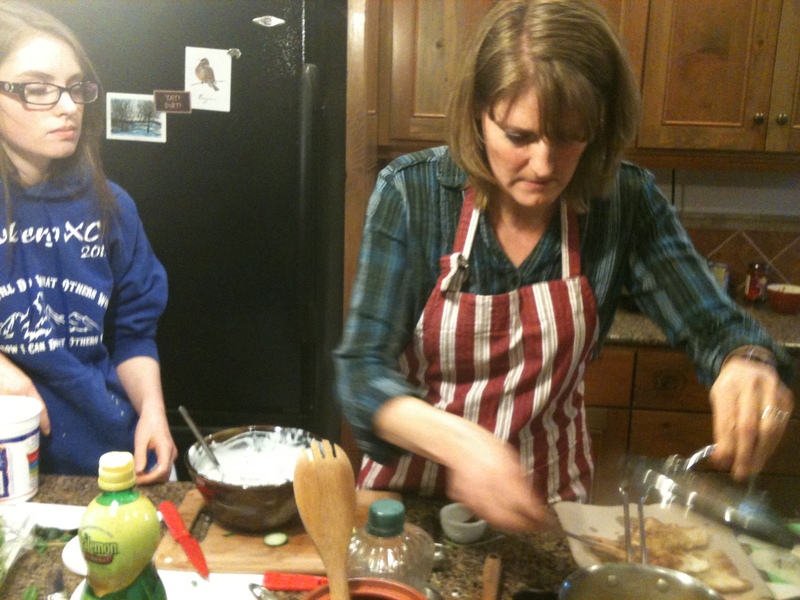 The class was open to eight and everyone had various levels of cooking skills. The recipes were all easily made with everyone working primarily with one recipe and then helping with some finishing touches as possible. 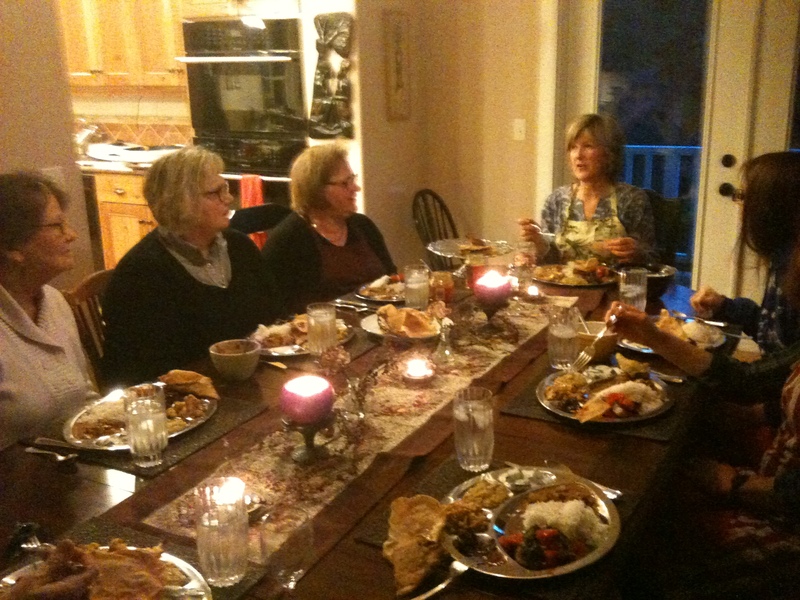 The meal itself was very enjoyable and opened up a whole new range of recipes for everyone there. There were some ingredients that needed to be obtained from an Indian market, but many ingredients were local. This entry was posted in community, consumer demand, cooking, education, Local food, recipes and tagged chicken, cooking, flavor, international, local farms, Local Food, recipes, vegetables. Bookmark the permalink. Thanks for this Beth! It was great to have someone snapping some pictures! Lots of fun…so much so I forgot to get as many photos as I would have liked! It was a lot of fun, very achievable with only a few ingredients needed from an Asian market, and delicious!